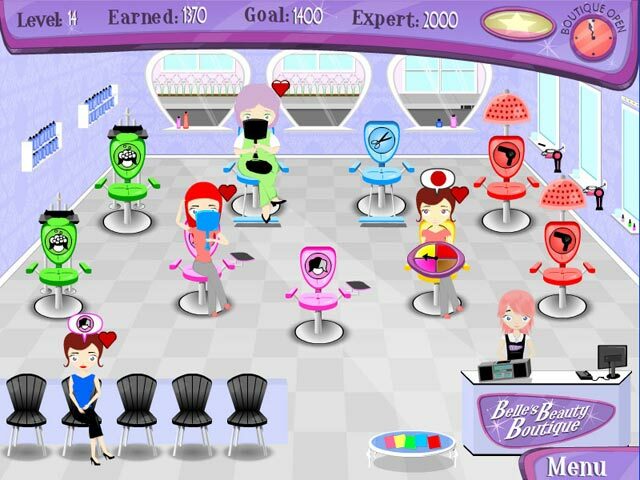 Help Belle run her beauty parlor and realize her dream by helping clients and creating the ultimate salon.Can you run a salon?In Belle`s Beauty Boutique you must help run a beauty parlor single-handedly. 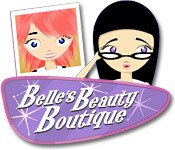 The owner, Belle, needs your help to give all of her customers the treatments they want. Help her wash, cut, shampoo, and color a crazy cast of characters. Watch them gossip, flirt, and help Belle realize her dream of creating the ultimate beauty salon.